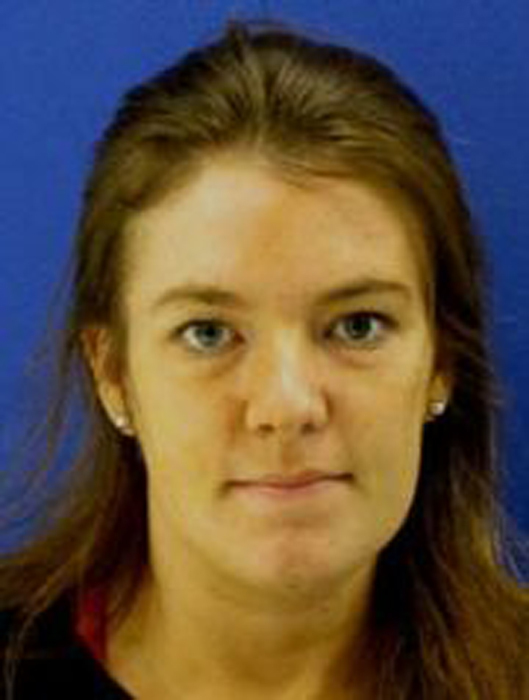 CLARKSBURG, Md.--A mother and her two children have been missing since Sunday night, and police in Montgomery County, Md., are filing charges, reports CBS affiliate WUSA . Police said they are deeply concerned for the well-being of the children, ages two and three. Their mother, Catherine Hoggle, has been diagnosed with paranoid schizophrenia. Wednesday, police released surveillance video of Hoggle taken the Monday before her disappearance, at a Chick-fil-A restaurant in Germantown, Md. Police also obtained surveillance footage of Hoggle, without the children, taken in Germantown on Tuesday at about 4:30 a.m.
Police are asking that anyone who might have seen Hoggle at this time come forward. "There is still a possibility that this will have a happy outcome, that we can reunite the children with their dad and grandparents," Police Capt. Daren Francke said at a press conference Wednesday. Hoggle's common-law husband Troy Turner reported the trio missing Monday night around 8 p.m., according to police. Turner told police that while he was at work on Sunday afternoon, Catherine's father drove her, two-year-old Jacob and three-year-old Sarah to Catherine's mother's home in Gaithersburg, Md. Catherine then allegedly borrowed her father's gray, 2007 Nissan Rogue and told her parents that she was going to take Jacob to get some pizza. Approximately three hours later, Catherine reportedly returned to her mother's home without Jacob or the pizza. She then told her parents that Jacob was at a friend's home and left with Sarah, police say. Police later determined that Jacob was never at his friend's home. Early Monday morning, police say Catherine left their home with Sarah and told Turner that she was taking Sarah to a daycare center. When she returned home she told Turner that Sarah and Jacob had been dropped off. Police said Turner works nights and didn't know that Jacob hadn't come home from his grandmother's house. Later that day, Turner became concerned when it came time to pick up Sarah and Jacob and Catherine was not forthcoming with information about the children's whereabouts. He decided to go to a police station to ask for help, but the couple first stopped at a Chick-fil-A and police say Catherine fled. "I just want my freaking kids back," Turner repeated over and over during a press conference Wednesday.